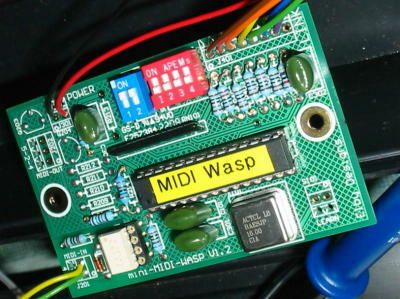 Provides a MIDI Interface for your EDP Wasp or EDP Gnat or any other EDP Link compliant device. LEARN Mode allows assignment of the bottom C to any MIDI Note and Channel. Has a MIDI-THRU port to allow for extension of the MIDI line.